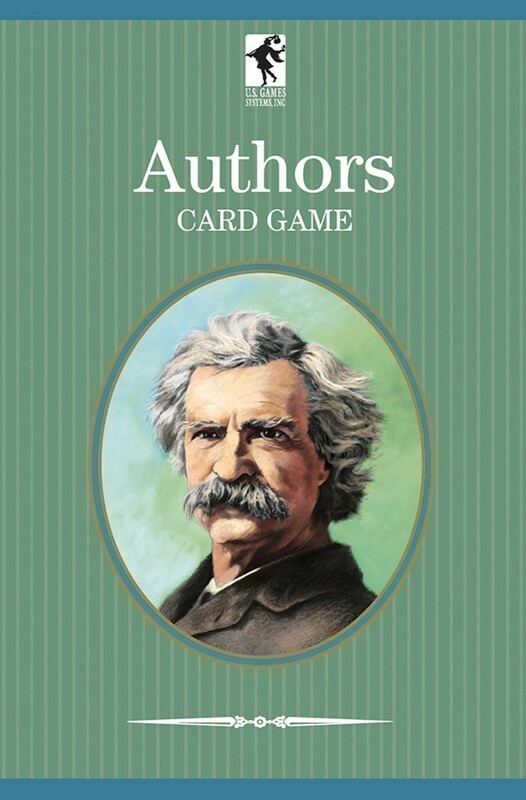 Authors is a classic card game dating back to 1861. 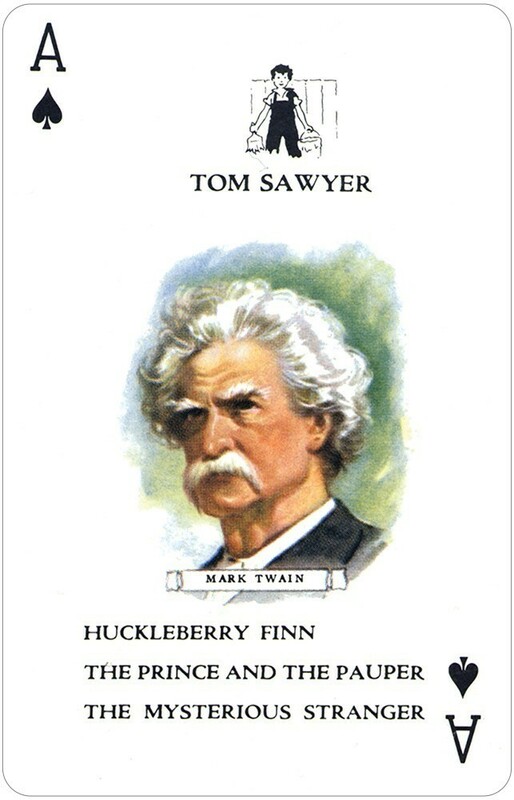 The Authors deck contains 52 cards featuring color portraits of 13 honored writers, with lists of their four greatest literary works. Still played today as it was originally, the Authors Card Game is played with these 13 books of 4 cards each. The object is to collect complete books by calling for cards from other players. 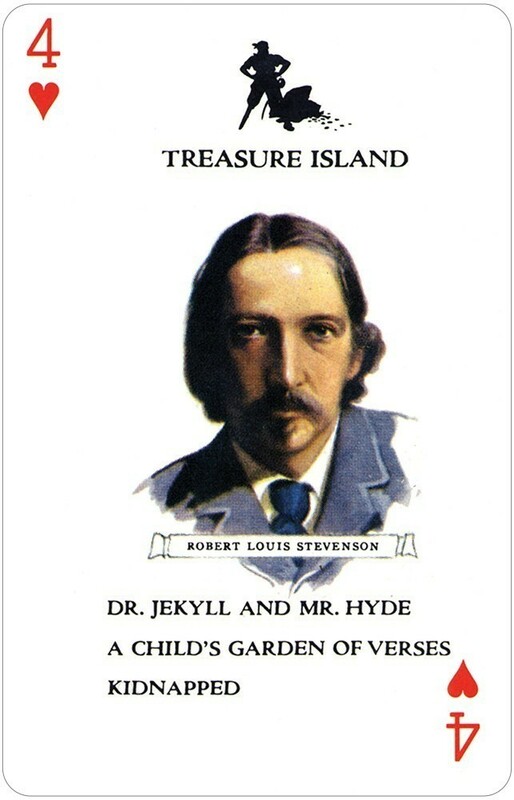 The authors featured include: Mark Twain, Charles Dickens, William Shakespeare, William Thackeray, Robert Louis Stevenson, James Fenimore Cooper, Washington Irving, Nathaniel Hawthorne, Henry Longfellow, Sir Walter Scott, Alfred Tennyson, Louise May Alcott, and Edgar Allan Poe. The cards also have standard indices in both upper and lower corners. So the Authors deck can also be used for many traditional card games. See also: Children's Authors Card Game, American Authors Card Game, Composers Card Game, and Authors Bookcase Set. As a senior adult I still have the images of the authors and the books they wrote in my head from when my mother used to play this game with us as children. I wanted the same experience for my grandchildren. Sure enough, the game's been just as much of a hit now as it was 60 years ago then. Mom would have been proud. I was fortunate, in my youth, to have grandparents and uncles and cousins who would play this game with me, back in the late 1940's and early 1950's. It is like Rummy, but instead of 4 suits, there are 4 books that each author has written. There are 13 Authors in this original version. While I hadn't read all the books, I did learn to tie the name of the author to 4 books he or she had written. I was, therefore, ahead of other kids in my class, back in grade school. I just bought some of these for my grand-nieces and grand-nephews, with hopes they will give the kids "a leg-up" in English class - and, possibly, "Jeopardy", someday! Our 7-12 year old grandkids love this memory and educational game. I played it when I was a kid many years ago and was disappointed that Parker Brothers had stopped making the game. 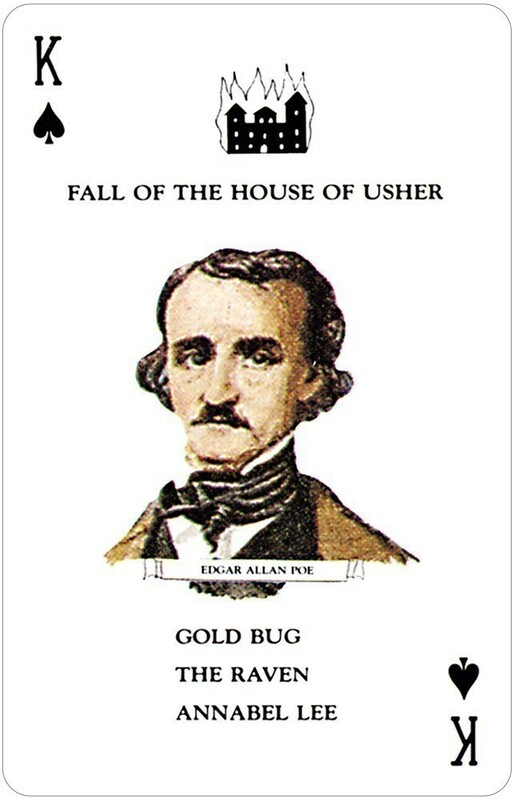 I still remember the authors and their classics books from this game and our grandkids have learned the classics by playing Authors. I was able to find the original parker Brothers game on e-Bay but this new version is every bit as good as the original and the new cards are coated for better durability. It's a great family game.